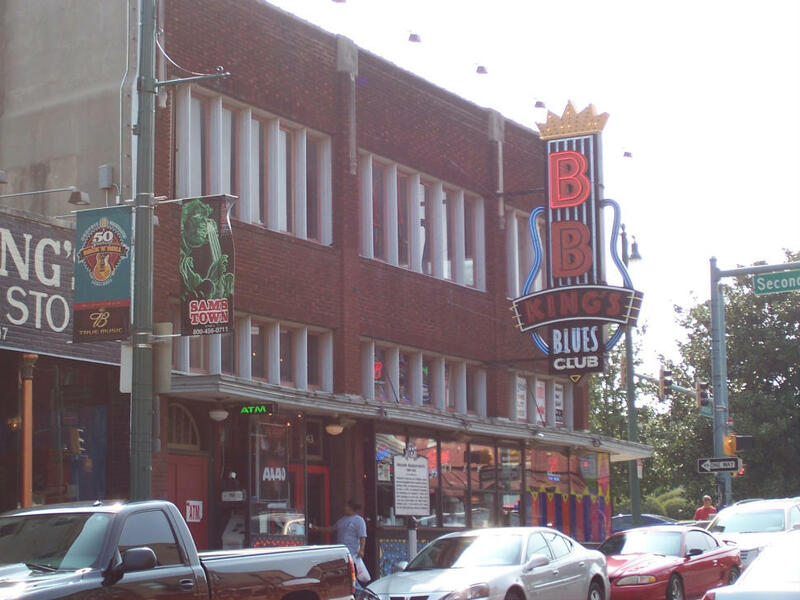 We drove from Nashville west on I-40 to Memphis (about 3.5 hours). It was a pretty drive with green on both sides and lots of woods. Tennessee has very nice rest stops too. 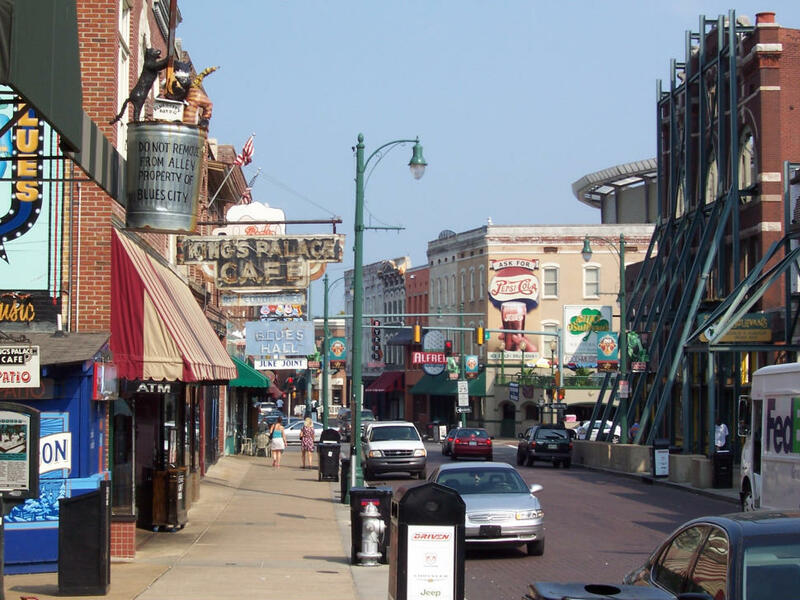 More of Beale Street. It was extremely hot and humid, the only day the humidity was really bad. 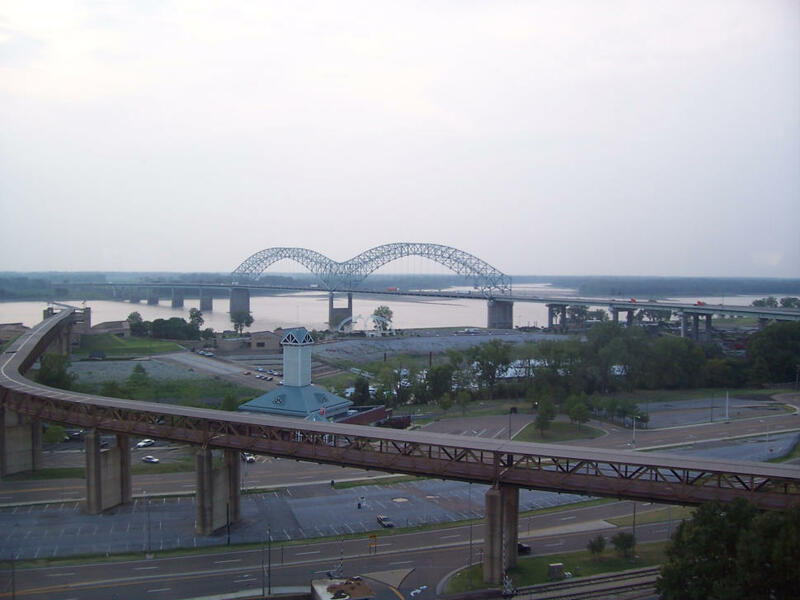 We cooled off in our hotel room with a fabulous view of the muddy Mississippi from our 15th story window. That bridge connects Memphis, TN with Memphis, Arkansas. 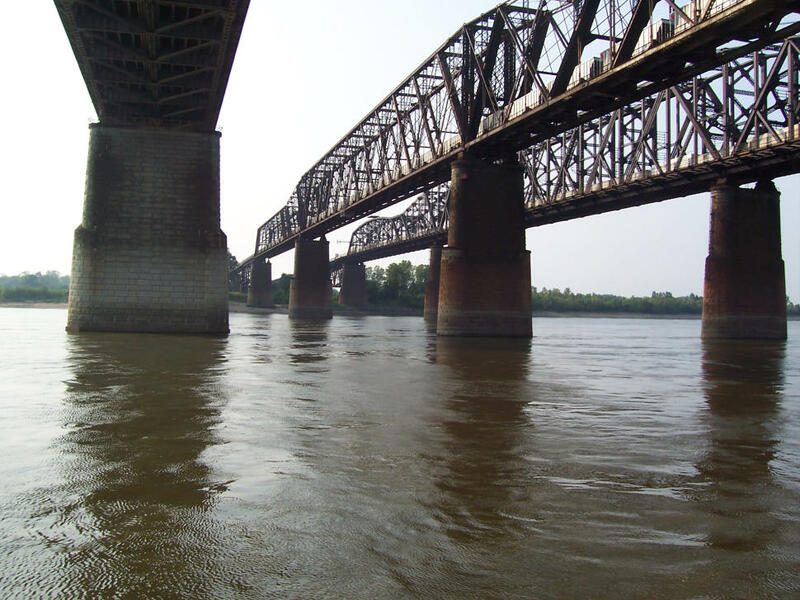 We took a sightseeing cruise down the Mississippi. These are older bridges. Look how thick the water is. 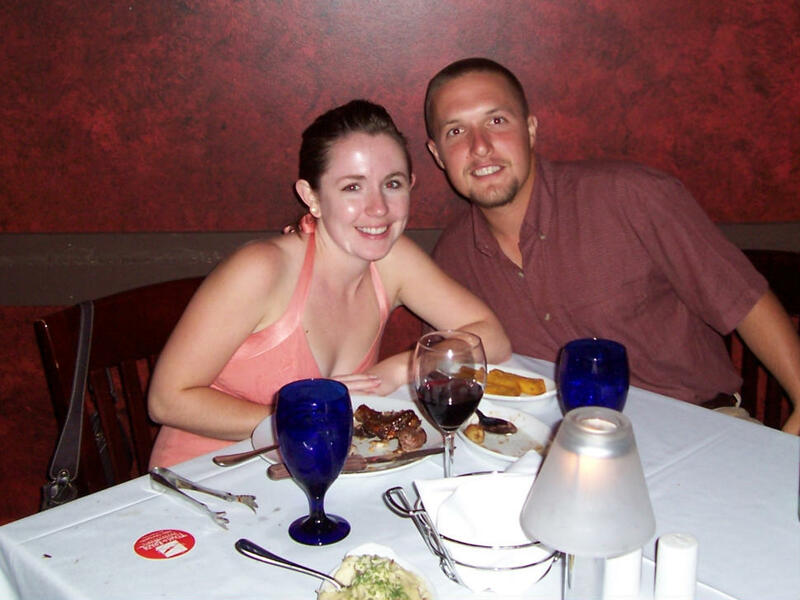 For our anniversary, we ate dinner at Texas De Brazil. What an experience. It was extremely classy and fancy and yet more food than you could every dream of eating. A salad bar unlike any you've seen (sushi, smoked salmon, lobster bisque, etc.) and all you can eat of various, fine meats, brought to your table by servers. When we left it was pouring and storming out of nowhere, and we got soaked. I had to leave Christina behind to totter in her heels while I ran to try to keep my cast dry. 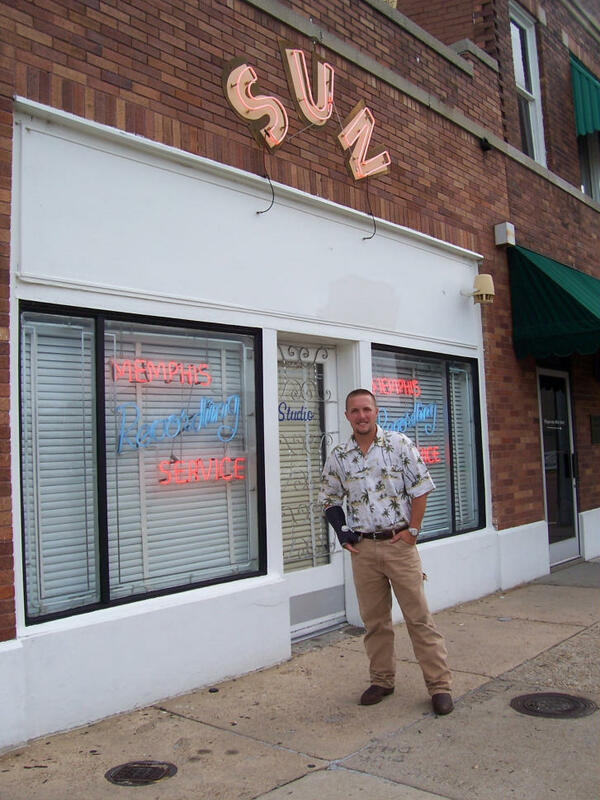 The legendary Sun Records where Johnny Cash, Elvis Presley, and Charlie Rich recorded their first albums. This is the recording studio that was portrayed in the movie Walk the Line. Knowing the history sure makes the place come alive. So Johnny and Elvis must have been there about 50 years ago, right? Texas De Brazil sounds like an awesome place to eat. yup, right about 50 years ago. Actually this year is the 50th anniversary of Elvis takeoff to stardom. 1956 was his breakout year. I dreamed last night that we went back to Texas de Brazil. I think you and mom went somewhere similar in Mexico. What a view from your room there. Cool, I just watched that in "Walk the Line." 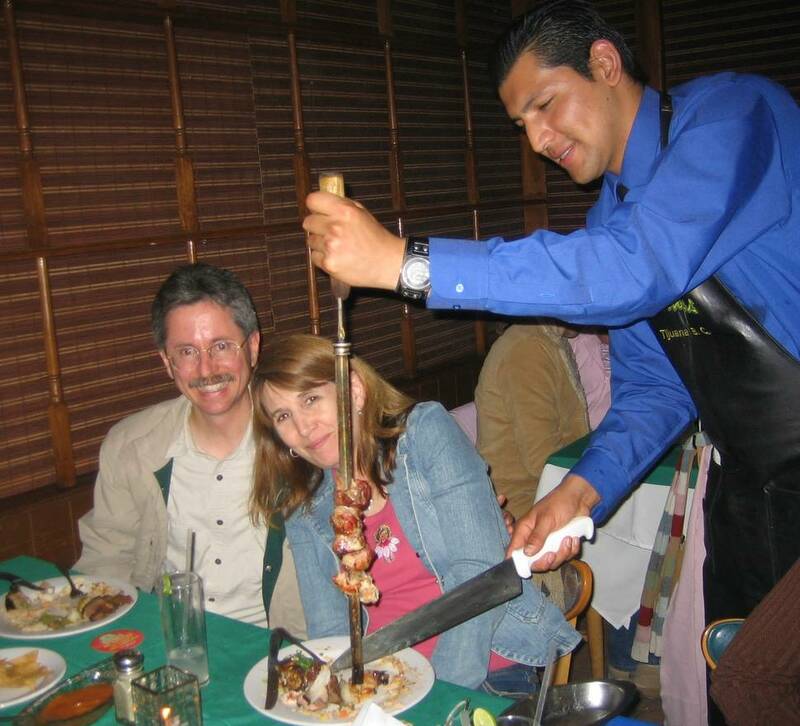 Yes, we ate at a Brazilian restaurant called "Las Pampas" in TJ with Oscar, Monica and his parents. They brought the different meats around on long, round sticks. It was delicious! Happy anniversary again! mom, they brought the food out on swords, not long rounds sticks. hee hee. Cool pictures- Dowtown memphis has some really neat signs, such as the trashcan one. Does that recording studio still do business or is it more of a historical site? Aaron, when are you going to record your first record there?